An excellent achievement by Belbin Benny, Aaron Corr and Ronan Quill who came in the top 3 in the Dublin North branch of ETTA. Unfortunately, only the top two go through to the national competition, so only Belbin and Aaron (both pictured) now progress to the next round. Both students received awards for their outstanding projects at the awards ceremony. 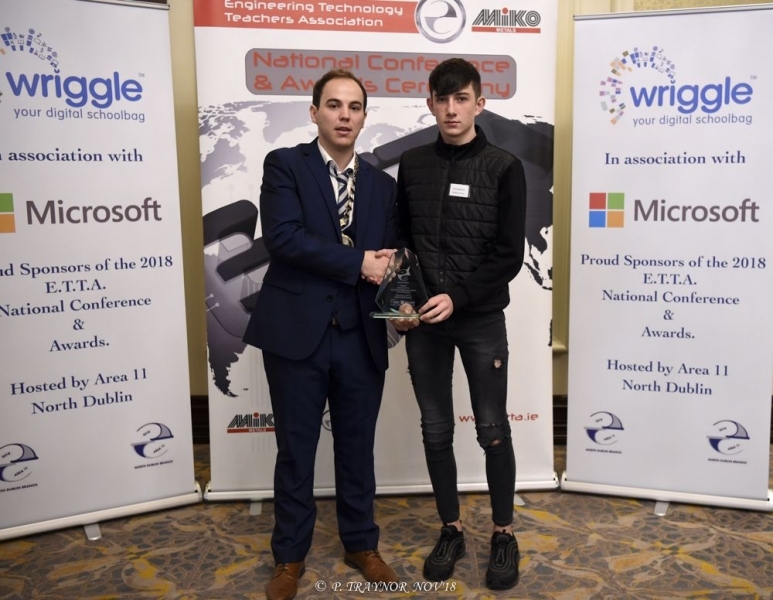 However, Aaron Corr also won the top technology project in Ireland at Junior Cycle. 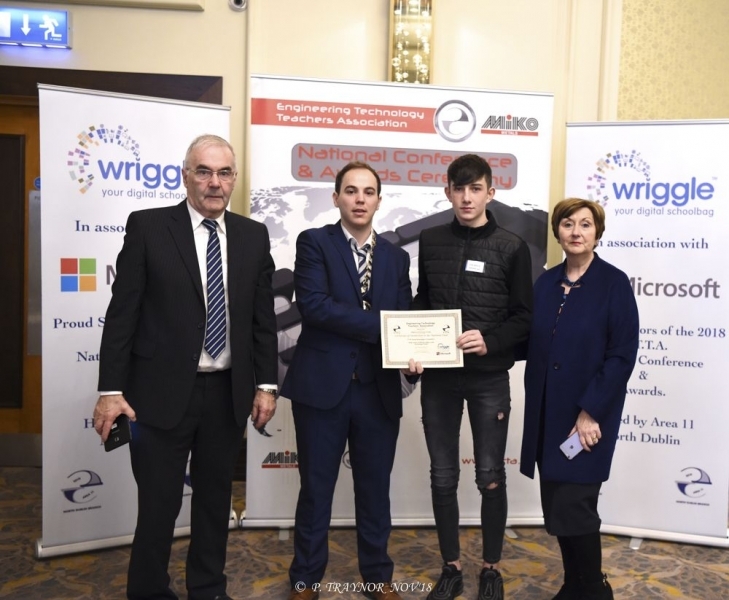 This is an outstanding achievement for Aaron and teacher Mr.McBrearty. 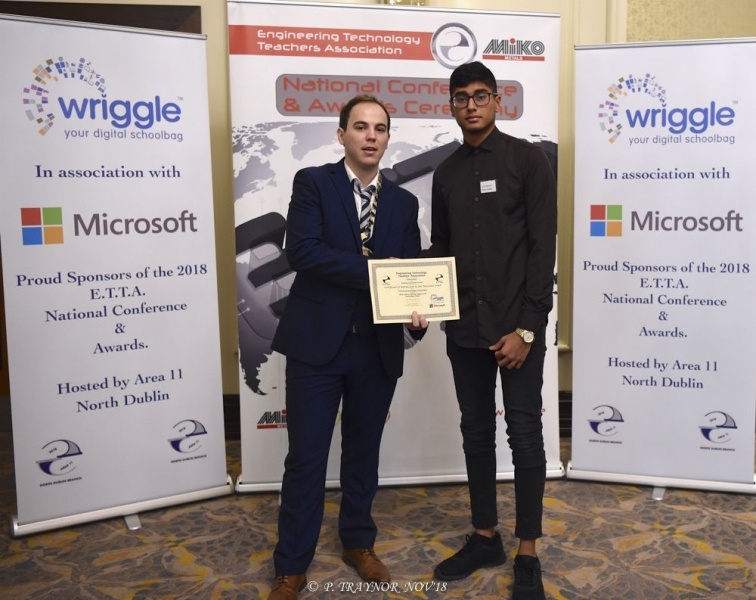 The technology department are looking to continue building on this success with lots more talented students coming through first and second year.